Manage all your recruitment from iKrut. Post your job to 20 free job boards and social media sites with 1 click. 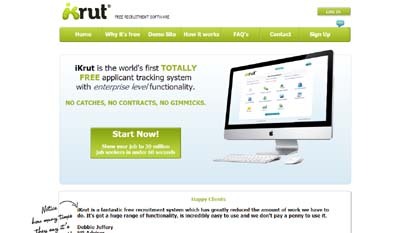 iKrut collates all the applications for you ready to login and view. All free. Why pay $200 a month for a system that you can have for nothing.